Nature’s Sunshine Anti-Gas TCM Concentrate draws on Chinese medicine to support the digestive system and detoxifying processes. 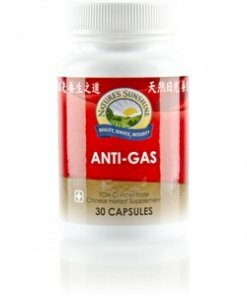 The same formula as Anti-Gas but in a highly-concentrated form, this blend of 15 herbs is “earth-reducing.” Known as xiao dao, or “clear the congestion” in traditional Chinese medicine, Anti-Gas TCM helps detoxify the body and nourishes digestive health. It assists in eliminating excess moisture and toxins. Instructions: Take one or two capsules with a meal daily. 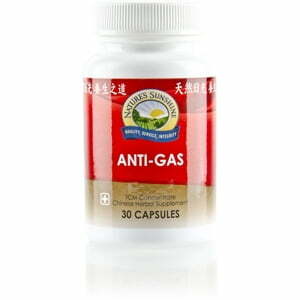 Each capsule is equivalent to 6 capsules of regular Chinese Anti-Gas combination. TCM denotes Traditional Chinese Medicine.